You probably know that Americans consume way too much salt, but a new U.S. government report points the finger at some surprising sources of salt in the diet. Surprisingly, potato chips, pretzels and other obviously salty snacks didn’t make it into the top five, though they did ring in at number 7. “Most Americans are consuming too much salt and it’s coming from a lot of commonly consumed foods — about 25 foods contribute the majority of salt,” said lead researcher Zerleen Quader. She’s an analyst from the U.S. Centers for Disease Control and Prevention. Knowing which foods contribute the most salt is important for reducing your salt intake, she said. Sodium is an essential mineral that helps the body maintain fluid balance, according to the American Heart Association. But, too much in the diet increases the risk for high blood pressure, which in turn boosts the risk for heart attack and stroke. Table salt contains about 40 percent sodium. One teaspoon of table salt has 2,300 milligrams (mg) of sodium, which is the maximum amount recommended by health experts. The new CDC report found that in 2013-2014, Americans consumed about 3,400 mg of salt daily. That far exceeds the recommended amount, and is more than double the American Heart Association’s “ideal” intake of 1,500 mg daily. And, clearly, all that salt doesn’t come from the salt shaker. Most comes from packaged, processed and restaurant foods, the report said. Many of these foods contain moderate amounts of salt, but are eaten all day long, Quader said. It’s not necessarily that foods such as bread are high in salt, but eating several slices a day quickly adds to the total amount of salt you consume. One way to reduce salt is to pay attention to food labels when shopping and choose the lowest salt option, Quader suggested. “When cooking at home, use fresh herbs and other substitutes for salt. When eating out, you can ask for meals with lower salt,” she added. Quader said the food industry can help by lowering the amount of salt it adds to its products. Gradually reducing salt in foods can help prevent high blood pressure (“hypertension”) and reduce the risk of cardiovascular disease and won’t even be noticed by consumers, she said. The CDC researchers found that 44 percent of the salt people eat comes from just 10 foods. 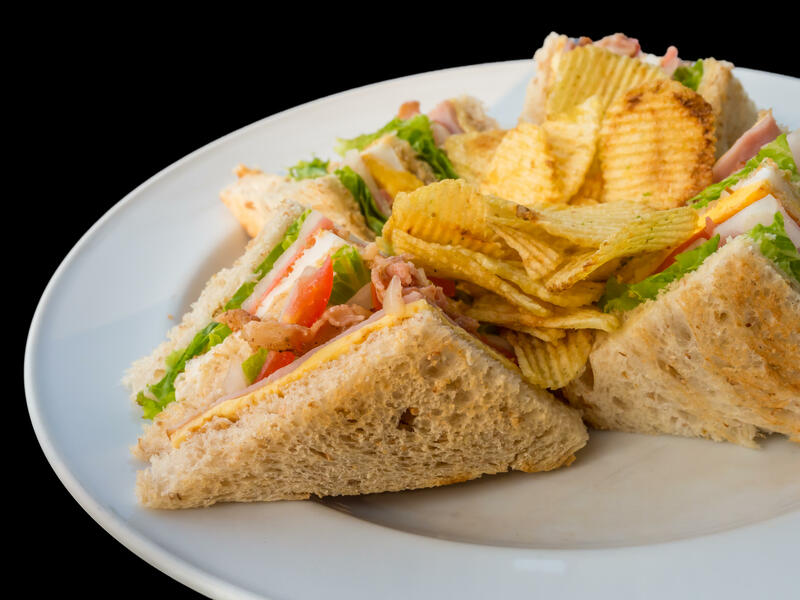 These include bread made with yeast, pizza, sandwiches, cold cuts and cured meats, soups, burritos and tacos, salted snacks, chicken, cheese, eggs and omelets. Seventy percent of salt in the diet is from 25 foods, the report said. Some of the foods included in the top 25 are bacon, salad dressing, French fries and cereal, the researchers found. In addition, 61 percent of the salt consumed daily comes from store-prepared foods and restaurant meals. Restaurants have the saltiest foods, Quader said. Processed foods not only raise blood pressure, but may also increase the risk for cancer, one nutritionist said. Samantha Heller is a senior clinical nutritionist at New York University Medical Center in New York City. “Processed meats such as bologna, ham, bacon and sausage, and hot dogs have been classified as carcinogens by the World Health Organization,” Heller said. In addition, these and other highly processed foods are huge contributors to the excess salt in the Western diet. “Parents need to understand that feeding hot dogs, fries, and ham and cheese sandwiches to their kids (and themselves) is significantly increasing their risk for certain cancers, hypertension and heart disease,” Heller said. Lowering salt in your diet is “as simple and as difficult as cooking at home and using fresh ingredients, as often as possible,” she suggested. The report was published March 31 in the CDC’s Morbidity and Mortality Weekly Report.